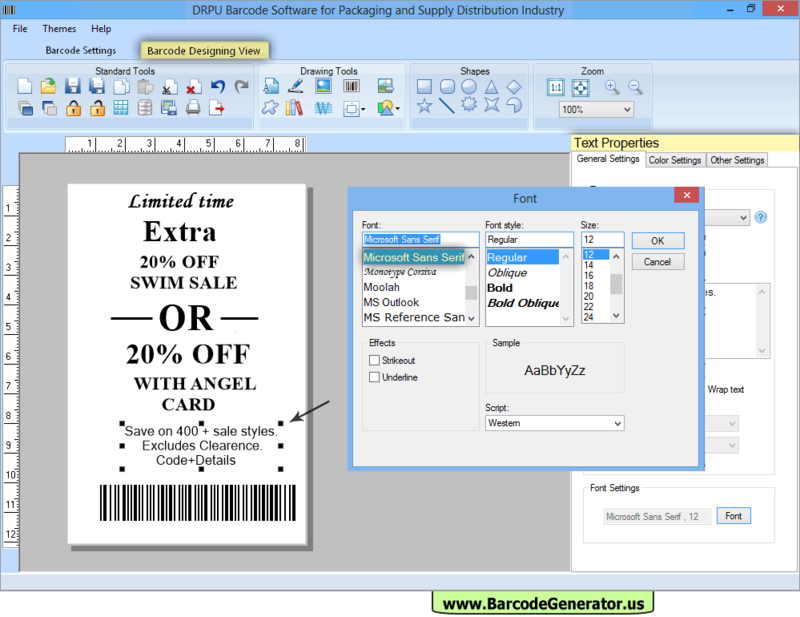 If you want to change Barcode Properties, then double click on that barcode which is on the label and set barcode properties using Value, Size, Font and Color tabs. Using Text Properties, You can change Font of the text written on your label. 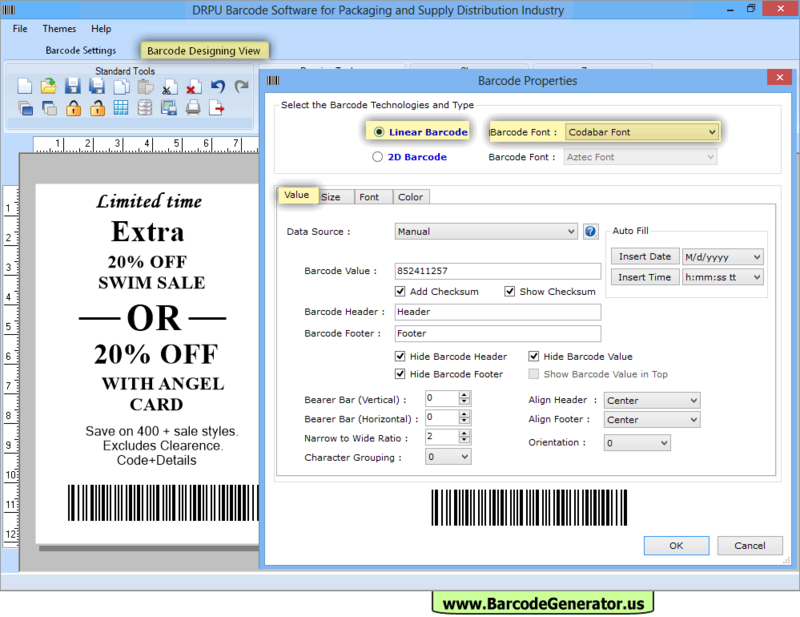 To Print your Barcode Label, Click on the print button in Barcode Designing View. 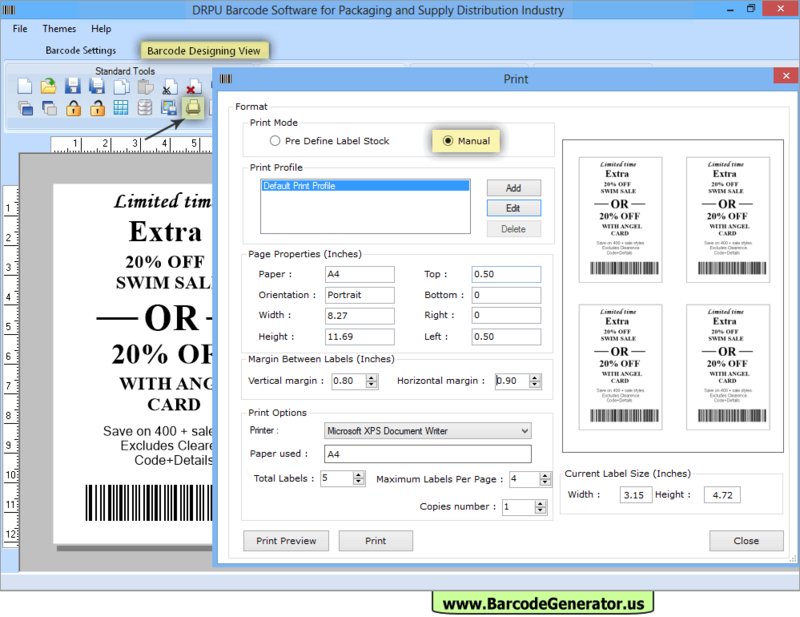 Then choose print mode, set 'page properties' as well as 'print options' and click on Print Button.